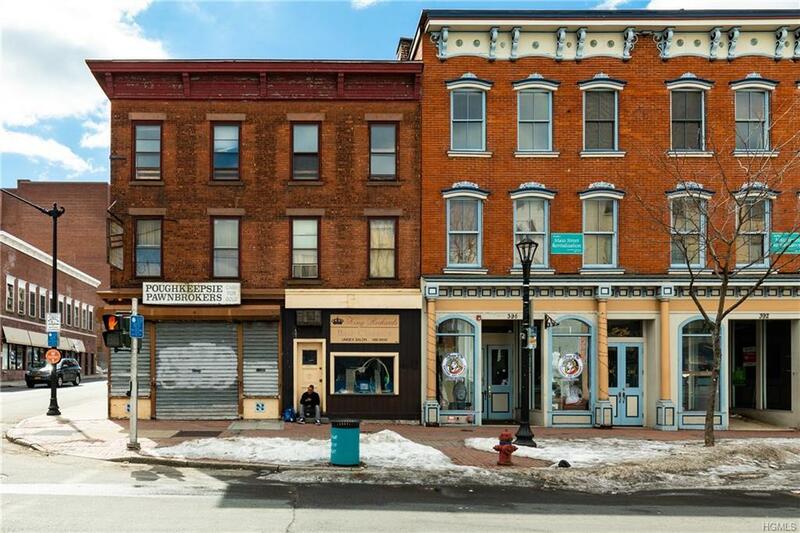 Mixed-use building for sale in the newly created "Innovation District of Downtown Poughkeepsie. This property includes 2 buildings for the price of 1. Building 1 is a 3 story masonry building with 2 retail storefronts and 2 apartments above. 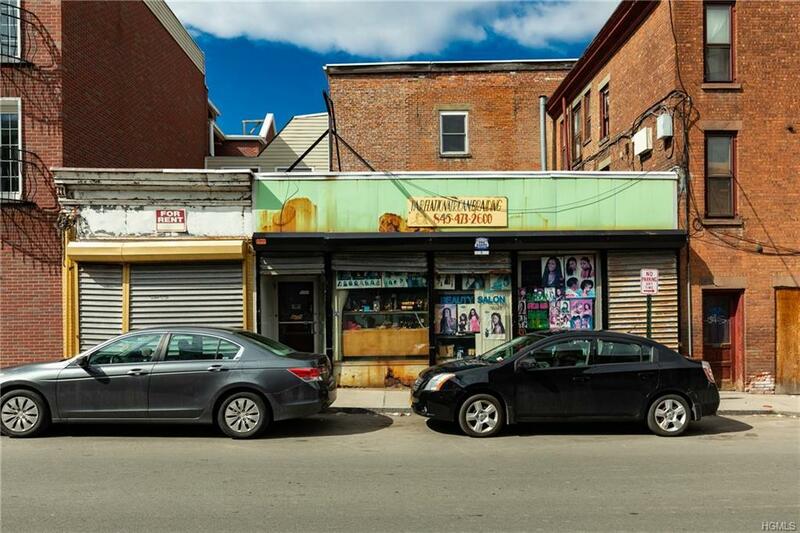 Building 2 is a single story building with 2 retail storefronts currently being utilized as a salon. 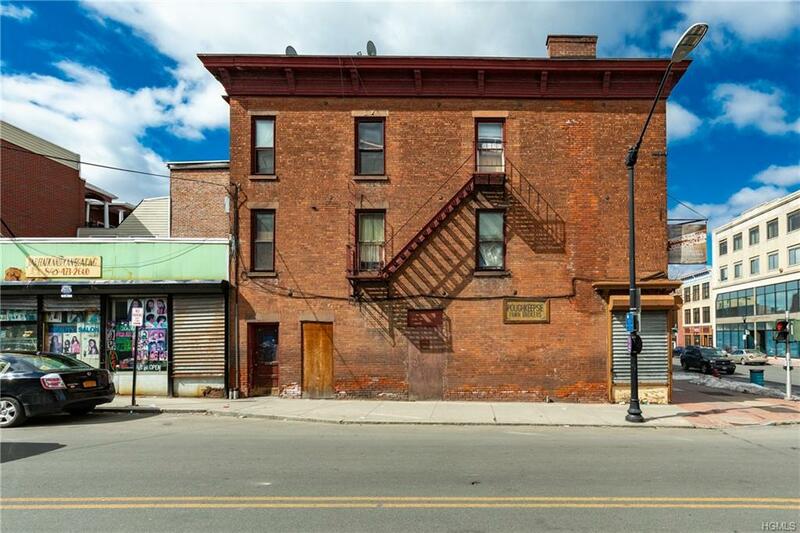 Located in the center of activity in the City of Poughkeepsie with easy accessibility, it is in close proximity to the Metro-North train station, Mid-Hudson Bridge, the East-West Arterial, and local bus routes. Located nearby are multiple government buildings, such as the DMV, City of Poughkeepsie and Dutchess County Courthouses. In addition, there are also several restaurants within close walking distance. This property is located within an Opportunity Zone. 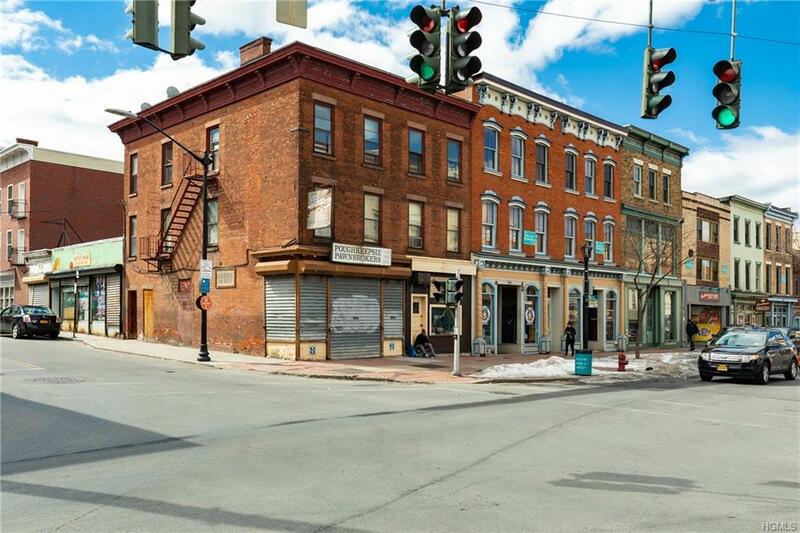 Great redevelopment opportunity to capitalize on the growth and revitalization of the City of Poughkeepsie. Potential uses include retail, hotels, restaurants, residential housing and offices. Listing courtesy of Jake Garay of Houlihan Lawrence Inc..